100 Mile Paper is a brand new card company located 100 miles north of NYC in historic Stone Ridge, NY. 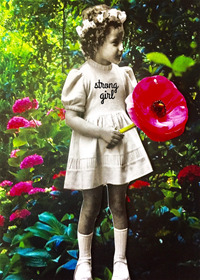 Using the art of collage in a fresh way, each card is created from artfully arranged images cut from old magazines, books and catalogues. Each image is photographed, and then printed on beautiful triple thick card stock. Each card is a work of art in itself. Send a card, spare an email, rescue a twitter,save the life of one more text. 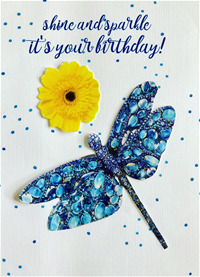 This card is made by collage, phoitographed and printed on triple thick card stock with rich, satuated color. White envelope included. This card is collage, photographed, and then printed on triple thick card stock in rich saturated colors. 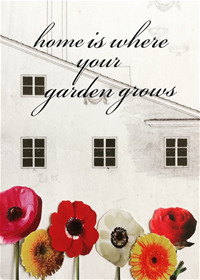 This card is made with collage, photographed, and then printed on triple thick cards stock in rich, saturated color. This card is collage, photographed and then printed on triple thick card stock with rich, saturated color.